On Monday, Tim Leiweke, Dave Nonis, and newcomer Brendan Shanahan gathered together to acknowledge the shortcomings of the Toronto Maple Leafs. Each man expressed dismay and perplexity over the club's struggles in his own, carefully-scripted manner. While unconvinced that the team has any idea where to take the club, I'm happy to see that none of the three Maple magi were professing any one direction heedless of the reflection necessary in order to diagnose the latest postseason collapse. Nevertheless, the heads of Leafs management all did an admirable job of earnestly expressing disapproval of the club's dormant spring. Meanwhile, in the Leafs dressing room, the players themselves seemed unfamiliar with the spectacle of dismay that dominated Shanahan's installment as the club's new President. Some, such as Phil Kessel, seemed agitated yet unable to account for the 2014 team's demise. 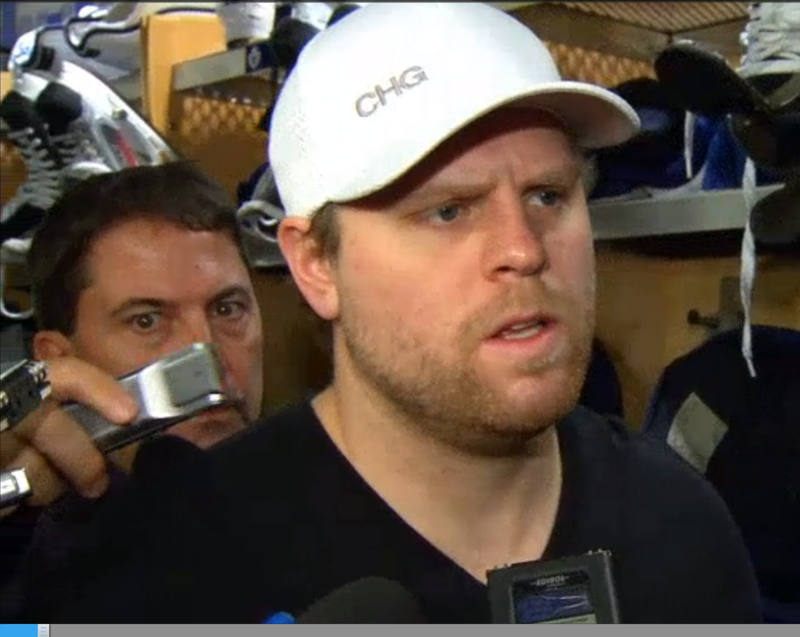 I haven't seen Kessel look this upset since Phaneuf criticized his cookie intake. Conversely, Tyler Bozak couched disappointment within the cushy confines of hockey cliches. While managements pondered all manner of personnel changes, the team's frontline pivot attributed the club's post-Olympic struggles to those ever-elusive "lucky bounces," which supposedly determine how a player will spend his summer. 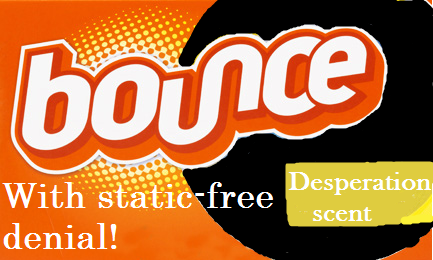 On a sidenote, I have a feeling that the "lucky bounce" thing was invented to keep players from getting carried away with the highs and lows of the game. To keep teams from believing that their success will be everlasting, coaches attribute some wins to "lucky bounces"; to prevent teams from believing that they have been cursed by the hockey gods, coaches attribute bad losses to "unlucky bounces." Ultimately, bounces had nothing to do with the Leafs' failings. The defence would have looked glaringly inept even if the opposition were forced to use a deflated basketball instead of a bouncy puck in the final 14 games of the season (in which the Leafs mustered only 2 wins). If Phaneuf wants to retain the captaincy, he could could start by pulling the team's #1 centre aside and saying, "The fault, dear Bozak, lies not in our pucks but in ourselves." Better yet, the Leafs make a gesture showing remorse for the travesty that they inflicted upon fans following the Olympic break. In a few short weeks, the Leafs went from being playoff bound to being a borderline ECHL club. For whatever reason, few players showed up to play on any given night. Since management has already admitted and pledged to remedy the organization's misplaced confidence in the current roster, the players themselves should acknowledge their disastrous lack of commitment through a similar act of atonement. Since the league won't let them play next year for $1 CAD, the players should find another way to dispense with their unearned salaries. As a team, the Leafs should donate their salaries from the dozen failures that followed the Olympics. More specifically, they should give that money to organizations that help underprivileged kids afford to play hockey. After all, the Leafs couldn't be bothered to play despite receiving huge paychecks, so they should help restore their own integrity and the integrity of the game itself by giving that money to kids who are dying to play. Now, you might think that Jonathan Bernier and James Reimer should be exempt from this self-inflicted pay cut since both goalies showed up every night. However, if we exempt them, then we have to consider what other players were more or less engaged over the stretch of futility. Pretty soon, we'll be splitting hairs on a shift-by-shift assessment of each skater's engagement. There should be no exceptions: the Leafs failed to play as a team, so they should agree to pay as a team. Foregoing unearned pay would show that the Leafs (like their fans) take the team's losses personally. Giving up some cash would also demonstrate each player's accountability in a way that lashing out against luck simply cannot do. In most jobs, people get fired if the company collapses under their watch. For hockey players, failure appears to be the difference between accepting money on the golf green or on the ice in April. The Leafs can't buy back respectability with these donations, but they can at least acknowledge that they owe their fanbase more than empty words of regret. This self-imposed censure would also show both leadership and character--two qualities that Shanahan will demand of the team's personnel at all levels. So, if any of the Leafs want to keep their jobs, they might start by taking the initiative in accepting a fair share of the blame for another hockey-less April in Toronto.